The CVB-21 is the successor to the popular CTB-21. 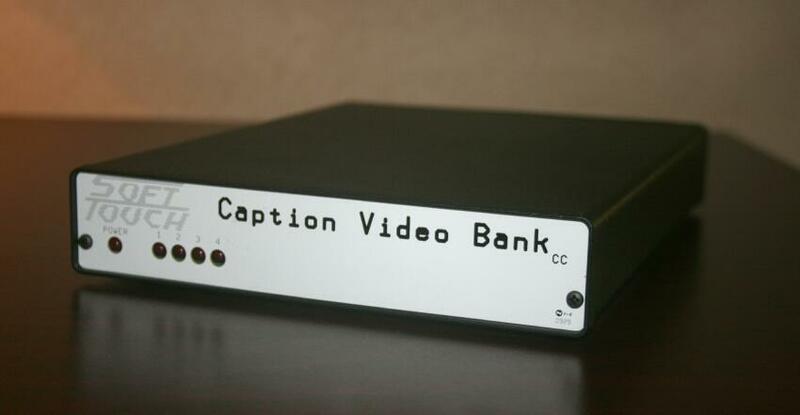 This is a multi-purpose video bank and closed caption data recovery device. It has 4 independent video inputs and 4 independent caption recovery channels. This allows you to monitor and capture closed caption (and XDS) data from 4 independent Video sources at the same time. It communicates with a host PC through a single USB-B Female connector. Although the device connects to your data gathering unit through this single USB port, it appears to your device to be a USB-Hub combining 4 separate data channels. When used with the readily available FTDI drivers, the CVB-21 will appears as 4 separate COM ports. Recovered caption data is sent to the host via these USB COM ports. Each of the 4 COM ports can be configured by a user accessible dipswitch that enables Field 1 and/or Field 2 Data. The CVB 21 maintains a unity-gain of the input video and produces a broadcast quality output.. Recover Caption/VBI data from line 21 fields 1&2 from 4 Video sources simultaneously. USB-B Female connector for communication with host system. Power Jack for 12V DC power supply (optional) . 4 - BNC Video Inputs. 1 - Dipswitch for selecting Field1 and or Field2 for each channel. Desk top: 7" wide by 9" deep. Rack mount: 19" wide, 1 rack unit high, 9" deep, 2 lbs.